Red fescue is a fine-leaved perennial grass of medium height and vigour. Its fine, bristle-like, mid to dark green glossy leaves are probably its most characteristic feature. Its heads are branched typically growing to less than 70cm in height. Red fescue is extremely variable species which can grow in dense tufts or spread out by rhizomes to form patches or carpets of fine leaves. 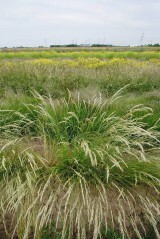 The wild red fescue form we offer was originally collected from unimproved species rich meadow grassland. Red fescue seed can be sown at any time of the year when soil conditions are suitable. It can be moderately quick to germinate from sowing, but being a relatively slow-growing grass, the small fine leaved seedlings will take some time to grow before they reach full size and cover. 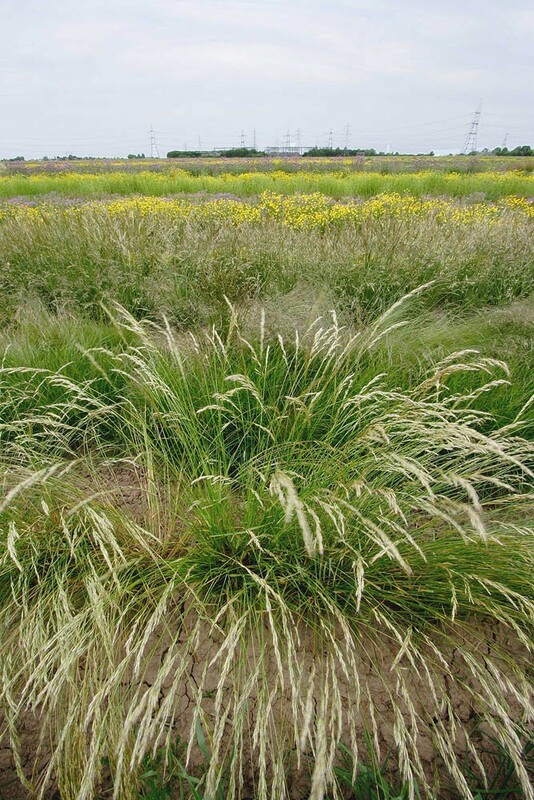 Once established, red fescue plants are very long-lived and able to withstand considerable nutrient and drought stress. They are able to spread effectively by creeping vegetative rhizome growth, so are not dependant on seed to regenerate or colonise gaps. In finer grassland red fescue forms a valuable structural component at the base of the sward. Red fescue is tolerant of frequent close mowing or grazing and responds by producing a fine dense sward so is widely sown to create lawns. Fescue turf is moderately tolerant of wear and trampling. On the other hand red fescue grassland which is left uncut for too long can build up a smothering blanket of dense growth with an accumulation of persistent dead leaf litter (thatch) at its base; which is not good for plant diversity. To avoid this, and maintain its balance with other species, again it is important to implement a good mowing regime. 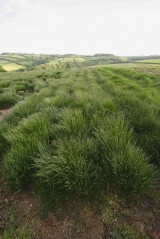 Fresh growth of red fescue is quite palatable to livestock and has a long growing season. As such it can provide useful grazing as a bottom grass in meadows and pastures, particularly on unproductive low-input fields on which more productive grasses struggle. It is less palatable than lush ryegrass and may be rejected by livestock if the fescue plants are allowed to accumulate older tougher leaves.